Brushes have always played their part in the rituals of being well groomed, presentable and cleanly attired. Brushes and cloth make an ideal union. These brushes are pinned to the wall to provide characterful coat hooks. Each brush is tufted differently to display a different graphic language. 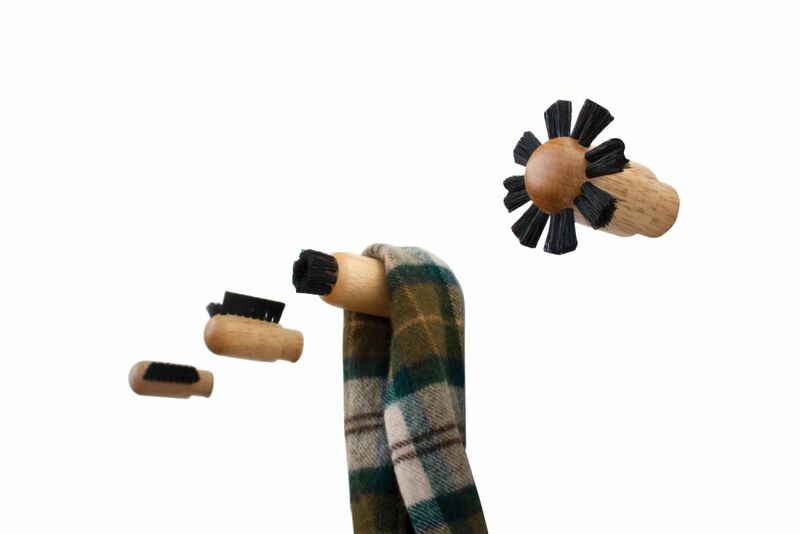 Through friction, the bristles function by gently supporting and holding items of clothing on the hook.